Vitamin A is a generic term for a group of similar compounds called retinoids. Retinol is the form of vitamin A found in animal-derived foods, and is converted in the body to the biologically active forms of vitamin A: retinal and retinoic acid (thus retinol is sometimes referred to as “preformed vitamin A”). About 10 percent of plant-derived carotenoids, including beta-carotene, can be converted in the body to retinoids and are another source of functional vitamin A. Carotenoids are pigments synthesized by plants that give them their yellow, orange, and red color. Over six hundred carotenoids have been identified and, with just a few exceptions, all are found in the plant kingdom. There are two classes of carotenoids—the xanthophylls, which contain oxygen, and the carotenes, which do not. In plants, carotenoids absorb light for use in photosynthesis and act as antioxidants. Beta-carotene, alpha-carotene, and beta-cryptoxanthin are converted to some extent to retinol in the body. The other carotenoids, such as lycopene, are not. Many biological actions of carotenoids are attributed to their antioxidant activity, but they likely act by other mechanisms, too. Vitamin A is fat-soluble and is packaged into chylomicrons in small intestine, and transported to the liver. The liver stores and exports vitamin A as needed; it is released into the blood bound to a retinol-binding protein, which transports it to cells. Carotenoids are not absorbed as well as vitamin A, but similar to vitamin A, they do require fat in the meal for absorption. In intestinal cells, carotenoids are packaged into the lipid-containing chylomicrons inside small intestine mucosal cells and then transported to the liver. In the liver, carotenoids are repackaged into lipoproteins, which transport them to cells. The retinoids are aptly named as their most notable function is in the retina of the eye where they aid in vision, particularly in seeing under low-light conditions. This is why night blindness is the most definitive sign of vitamin A deficiency.Vitamin A has several important functions in the body, including maintaining vision and a healthy immune system. Many of vitamin A’s functions in the body are similar to the functions of hormones (for example, vitamin A can interact with DNA, causing a change in protein function). Vitamin A assists in maintaining healthy skin and the linings and coverings of tissues; it also regulates growth and development. As an antioxidant, vitamin A protects cellular membranes, helps in maintaining glutathione levels, and influences the amount and activity of enzymes that detoxify free radicals. Retinol that is circulating in the blood is taken up by cells in the eye retina, where it is converted to retinal and is used to help the pigment rhodopsin, which is involved in the eye’s ability to see under low light conditions. A deficiency in vitamin A thus results in less rhodopsin and a decrease in the detection of low-level light, a condition referred to as night-blindness. Insufficient intake of dietary vitamin A over time can also cause complete vision loss. In fact, vitamin A deficiency is the number one cause of preventable blindness worldwide. Vitamin A not only supports the vision function of eyes but also maintains the coverings and linings of the eyes. Vitamin A deficiency can lead to the dysfunction of the linings and coverings of the eye (eg. bitot spots), causing dryness of the eyes, a condition called xerophthalmia. 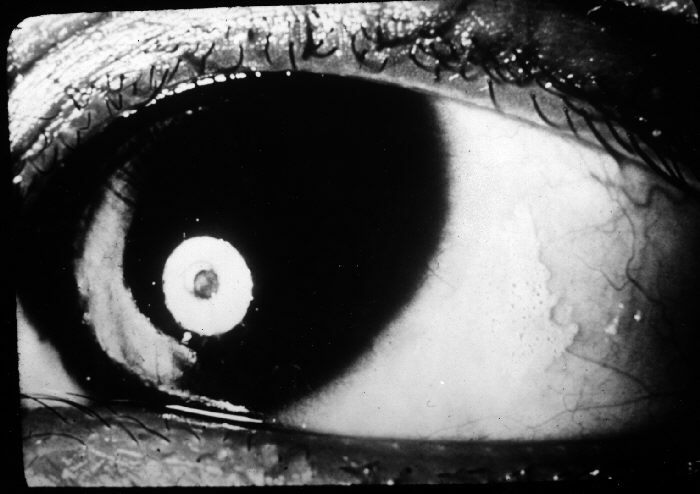 The progression of this condition can cause ulceration of the cornea and eventually blindness. Legend: Disability-adjusted life years (DALY) lost from Vitamin A deficiency in 2012 per million persons. The common occurrence of advanced xerophthalmia in children who died from infectious diseases led scientists to hypothesize that supplementing vitamin A in the diet for children with xerophthalmia might reduce disease-related mortality. In Asia in the late 1980s, targeted populations of children were administered vitamin A supplements, and the death rates from measles and diarrhea declined by up to 50 percent. Vitamin A supplementation in these deficient populations did not reduce the number of children who contracted these diseases, but it did decrease the severity of the diseases so that they were no longer fatal. Soon after the results of these studies were communicated to the rest of the world, the World Health Organization (WHO) and the United Nations Children’s Fund (UNICEF) commenced worldwide campaigns against vitamin A deficiency. UNICEF estimates that the distribution of over half a billion vitamin A capsules prevents 350,000 childhood deaths annually. Vitamin A’s role in regulating cell growth and death, especially in tissues that line and cover organs, suggests it may be effective in treating certain cancers of the lung, neck, and liver. It has been shown in some observational studies that vitamin A-deficient populations have a higher risk for some cancers. However, vitamin A supplements have actually been found to increase the risk of lung cancer in people who are at high risk for the disease (i.e., smokers, ex-smokers, workers exposed to asbestos). The Beta-Carotene and Retinol Efficacy Trial (CARET) involving over eighteen thousand participants who were at high risk for lung cancer found that people who took supplements containing very high doses of vitamin A (25,000 international units) and beta-carotene had a 28 percent higher incidence of lung cancer midway through the study, which was consequently stopped. Some carotenoids are converted to retinol in the body by intestinal cells and liver cells. However, only minuscule amounts of certain carotenoids are converted to retinol, meaning fruits and vegetables are not necessarily good sources of vitamin A. Source: Source: Dietary Supplement Fact Sheet: Vitamin A. National Institutes of Health, Office of Dietary Supplements. http://ods.od.nih.gov/factsheets/VitaminA-QuickFacts/. Updated September 5, 2012. Accessed October 7, 2017. Preformed vitamin A is found only in foods from animals, with the liver being the richest source because that’s where vitamin A is stored (see Table 9.2 “Vitamin A Content of Various Foods”). The dietary sources of carotenoids will be given in the following text. Source: Dietary Supplement Fact Sheet: Vitamin A. National Institutes of Health, Office of Dietary Supplements. http://ods.od.nih.gov/factsheets/VitaminA-QuickFacts/. Updated September 5, 2012. Accessed October 7, 2017. In the United States, the most consumed carotenoids are alpha-carotene, beta-carotene, beta-cryptoxanthin, lycopene, lutein, and zeaxanthin. See Table 9.3 “Alpha- and Beta-Carotene Content of Various Foods” for the carotenoid content of various foods. Source:2010. USDA National Nutrient Database for Standard Reference, Release 23. US Department of Agriculture, Agricultural Research Service. http://www.ars.usda.gov/ba/bhnrc/ndl. Accessed October 22, 2017. Vitamin D refers to a group of fat-soluble vitamins derived from cholesterol. Vitamins D2 (ergocalciferol) and D3 (calcitriol) are the only ones known to have biological actions in the human body. The skin synthesizes vitamin D when exposed to sunlight. In fact, for most people, more than 90 percent of their vitamin D3 comes from the casual exposure to the UVB rays in sunlight. Anything that reduces your exposure to the sun’s UVB rays decreases the amount of vitamin D3 your skin synthesizes. That would include long winters, your home’s altitude, whether you are wearing sunscreen, and the color of your skin (including tanned skin). Do you ever wonder about an increased risk for skin cancer by spending too much time in the sun? Do not fret. Less than thirty minutes of sun exposure to the arms and legs will increase blood levels of vitamin D3 more than orally taking 10,000 IU (250 micrograms) of vitamin D3. Activated vitamin D3 (calcitriol) regulates blood calcium levels in concert with parathyroid hormone. In the absence of an adequate intake of vitamin D, less than 15 percent of calcium is absorbed from foods or supplements. The effects of calcitriol on calcium homeostasis are critical for bone health. A deficiency of vitamin D in children causes the bone disease nutritional rickets. 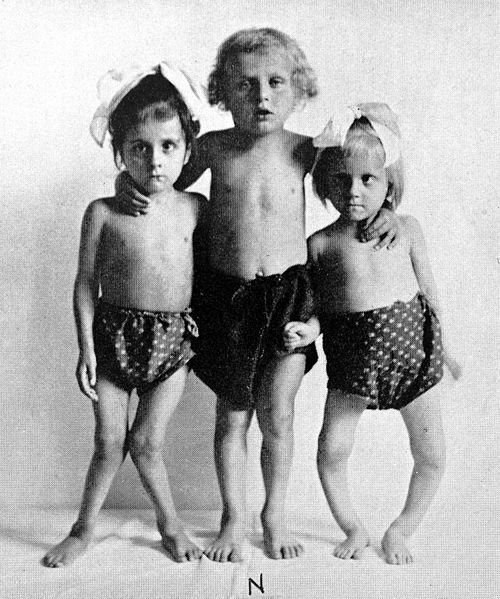 Rickets is very common among children in developing countries and is characterized by soft, weak, deformed bones that are exceptionally susceptible to fracture. In adults, vitamin D deficiency causes a similar disease called osteomalacia, which is characterized by low BMD. Osteomalacia has the same symptoms and consequences as osteoporosis and often coexists with osteoporosis. Vitamin D deficiency is common, especially in the elderly population, dark-skinned populations, and in the many people who live in the northern latitudes where sunlight exposure is much decreased during the long winter season. Observational studies have shown that people with low levels of vitamin D in their blood have lower BMD and an increased incidence of osteoporosis. In contrast, diets with high intakes of salmon, which contains a large amount of vitamin D, are linked with better bone health. A review of twelve clinical trials, published in the May 2005 issue of the Journal of the American Medical Association, concluded that oral vitamin D supplements at doses of 700–800 international units per day, with or without coadministration of calcium supplements, reduced the incidence of hip fracture by 26 percent and other nonvertebral fractures by 23 percent. A reduction in fracture risk was not observed when people took vitamin D supplements at doses of 400 international units. Many other health benefits have been linked to higher intakes of vitamin D, from decreased cardiovascular disease to the prevention of infection. Furthermore, evidence from laboratory studies conducted in cells, tissues, and animals suggest vitamin D prevents the growth of certain cancers, blocks inflammatory pathways, reverses atherosclerosis, increases insulin secretion, and blocks viral and bacterial infection and many other things. Vitamin D deficiency has been linked to an increased risk for autoimmune diseases. Immune diseases, rheumatoid arthritis, multiple sclerosis, and Type 1 diabetes have been observed in populations with inadequate vitamin D levels. Additionally, vitamin D deficiency is linked to an increased incidence of hypertension. Until the results come out from the VITAL study, the bulk of scientific evidence touting other health benefits of vitamin D is from laboratory and observational studies and requires confirmation in clinical intervention studies. Although vitamin D toxicity is rare, too much can cause high levels of calcium concentrations or hypercalcemia. Hypercalcemia can lead to a large amount of calcium to be excreted through the urine which can cause kidney damage. Calcium deposits may also develop in soft tissues such as the kidneys, blood vessels, or other parts of the cardiovascular system. However, it is important to know that the synthesis of vitamin D from the sun does not cause vitamin D toxicity due to the skin production of vitamin D3 being a tightly regulated process. The Institute of Medicine RDAs for vitamin D for different age groups is listed in Table 10.4 “Dietary Reference Intakes for Vitamin D”. For adults, the RDA is 600 international units (IUs), which is equivalent to 15 micrograms of vitamin D. The National Osteoporosis Foundation recommends slightly higher levels and that adults under age fifty get between 400 and 800 international units of vitamin D every day, and adults fifty and older get between 800 and 1,000 international units of vitamin D every day. According to the IOM, the tolerable upper intake level (UL) for vitamin D is 4,000 international units per day. 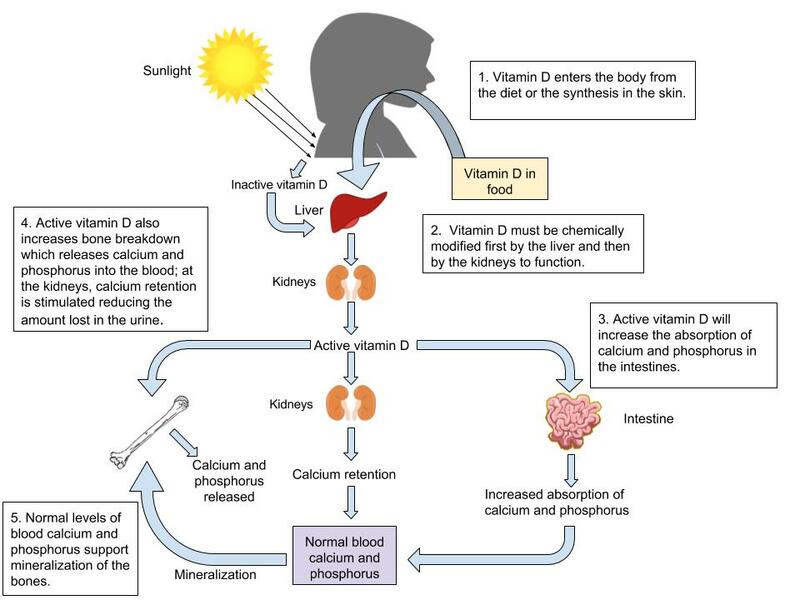 Toxicity from excess vitamin D is rare, but certain diseases such as hyperparathyroidism, lymphoma, and tuberculosis make people more sensitive to the increases in calcium caused by high intakes of vitamin D.
Source: Ross, A. C. et al. The 2011 Report on Dietary Reference Intakes for Calcium and Vitamin D from the Institute of Medicine: What Clinicians Need to Know. J Clin Endocrinol Metab. 2011; 96(1), 53–8. http://www.ncbi.nlm.nih.gov/pubmed/21118827. Accessed October 10, 2017. Source: Dietary Supplement Fact Sheet: Vitamin D. National Institutes of Health, Office of Dietary Supplements.https://ods.od.nih.gov/factsheets/VitaminD-HealthProfessional/#h3. Updated September 5, 2012. Accessed October 22, 2017. Vitamin E occurs in eight chemical forms, of which alpha-tocopherol appears to be the only form that is recognized to meet human requirements. Alpha-tocopherol and vitamin E’s other constituents are fat-soluble and primarily responsible for protecting cell membranes against lipid destruction caused by free radicals, therefore making it an antioxidant. When alpha-tocopherol interacts with a free radical it is no longer capable of acting as an antioxidant unless it is enzymatically regenerated. Vitamin C helps to regenerate some of the alpha-tocopherol, but the remainder is eliminated from the body. Therefore, to maintain vitamin E levels, you ingest it as part of your diet. Insufficient levels are rare (signs and symptoms of such conditions are not always evident) but are primarily the result of nerve degeneration. People with malabsorption disorders, such as Crohn’s disease or cystic fibrosis, and babies born prematurely, are at higher risk for vitamin E deficiency. Vitamin E has many other important roles and functions in the body such as boosting the immune system by helping to fight off bacteria and viruses. It also enhances the dilation of blood vessels and inhibiting the formation of blood clotting. Despite vitamin E’s numerous beneficial functions when taken in recommended amounts, large studies do not support the idea that taking higher doses of this vitamin will increase its power to prevent or reduce disease risk. Vitamin E reduces the oxidation of LDLs, and it was therefore hypothesized that vitamin E supplements would protect against atherosclerosis. However, large clinical trials have not consistently found evidence to support this hypothesis. In fact, in the “Women’s Angiographic Vitamin and Estrogen Study,” postmenopausal women who took 400 international units (264 milligrams) of vitamin E and 500 milligrams of vitamin C twice per day had higher death rates from all causes. The large clinical trials that evaluated whether there was a link between vitamin E and cardiovascular disease risk also looked at cancer risk. These trials, called the HOPE-TOO Trial and Women’s Health Study, did not find that vitamin E at doses of 400 international units (264 milligrams) per day or 600 international units (396 milligrams) every other day reduced the risk of developing any form of cancer. The brain’s high glucose consumption makes it more vulnerable than other organs to oxidative stress. Oxidative stress has been implicated as a major contributing factor to dementia and Alzheimer’s disease. Some studies suggest vitamin E supplements delay the progression of Alzheimer’s disease and cognitive decline, but again, not all of the studies confirm the relationship. A recent study with over five thousand participants published in the July 2010 issue of the Archives of Neurology demonstrated that people with the highest intakes of dietary vitamin E were 25 percent less likely to develop dementia than those with the lowest intakes of vitamin E.
More studies are needed to better assess the dose and dietary requirements of vitamin E and, for that matter, whether other antioxidants lower the risk of dementia, a disease that not only devastates the mind, but also puts a substantial burden on loved ones, caretakers, and society in general. Currently, researchers have not found any adverse effects from consuming vitamin E in food. Although that may be the case, supplementation of alpha-tocopherol in animals has shown to cause hemorrhage and disrupt blood coagulation. Extremely high levels of vitamin E can interact with vitamin K-dependent clotting factors causing an inhibition of blood clotting. The Recommended Dietary Allowances (RDAs) and Tolerable Upper Intake Levels (ULs) for different age groups for vitamin E are given in Table 9.6 “Dietary Reference Intakes for Vitamin E”. Source: Dietary Supplement Fact Sheet: Vitamin E.National Institutes of Health, Office of Dietary Supplements. http://ods.od.nih.gov/factsheets/VitaminE-QuickFacts/. Updated October 11, 2011. Accessed October 5, 2017. 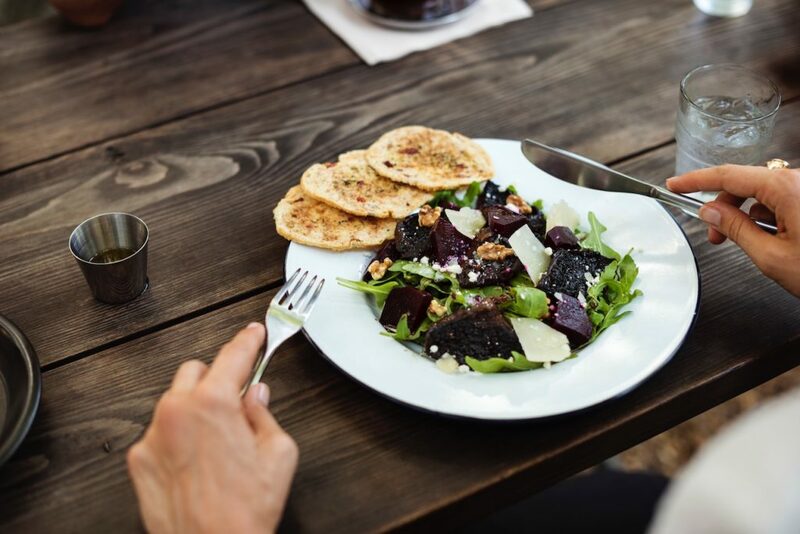 Add some nuts to your salad and make your own dressing to get a healthy dietary dose of vitamin E.
Vitamin E is found in many foods, especially those higher in fat, such as nuts and oils. Some spices, such as paprika and red chili pepper, and herbs, such as oregano, basil, cumin, and thyme, also contain vitamin E. (Keep in mind spices and herbs are commonly used in small amounts in cooking and therefore are a lesser source of dietary vitamin E.) See Table 10.7 “Vitamin E Content of Various Foods” for a list of foods and their vitamin E contents. Vitamin K refers to a group of fat-soluble vitamins that are similar in chemical structure. Vitamin K is critical for blood function acting as coenzymes which play an essential role in blood coagulation (aka blood clotting). Blood-clotting proteins are continuously circulating in the blood. Upon injury to a blood vessel, platelets stick to the wound forming a plug. Without vitamin K, blood would not clot. A deficiency in vitamin K causes bleeding disorders. It is relatively rare, but people who have liver or pancreatic disease, celiac disease, or malabsorption conditions are at higher risk for vitamin K deficiency. Signs and symptoms include nosebleeds, easy bruising, broken blood vessels, bleeding gums, and heavy menstrual bleeding in women. The function of the anticoagulant drug warfarin is impaired by excess vitamin K intake from supplements. Calcium additionally plays a role in activation of blood-clotting proteins. Vitamin K is also required for maintaining bone health. It modifies the protein osteocalcin, which is involved in the bone remodeling process. All the functions of osteocalcin and the other vitamin K-dependent proteins in bone tissue are not well understood and are under intense study. Some studies do show that people who have diets low in vitamin K also have an increased risk for bone fractures. Source: Dietary Reference Intakes for Vitamin A, Vitamin K, Arsenic, Boron, Chromium, Copper, Iodine, Iron, Manganese, Molybdenum, Nickel, Silicon, Vanadium, and Zinc. Institute of Medicine. http://www.iom.edu/Reports/2001/Dietary-Reference-Intakes-for-Vitamin-A-Vitamin-K-Arsenic-Boron-Chromium-Copper-Iodine-Iron-Manganese-Molybdenum-Nickel-Silicon-Vanadium-and-Zinc.aspx. Published January 9, 2001. Accessed October 10, 2017. Vitamin K is present in many foods. It is found in highest concentrations in green vegetables such as broccoli, cabbage, kale, parsley, spinach, and lettuce. Additionally, vitamin K can be synthesized via bacteria in the large intestine. The exact amount of vitamin K synthesized by bacteria that is actually absorbed in the lower intestine is not known, but likely contributes less than 10 percent of the recommended intake. Newborns have low vitamin K stores and it takes time for the sterile newborn gut to acquire the good bacteria it needs to produce vitamin K. So, it has become a routine practice to inject newborns with a single intramuscular dose of vitamin K. This practice has basically eliminated vitamin K-dependent bleeding disorders in babies. Fat-Soluble Vitamins by University of Hawai’i at Mānoa Food Science and Human Nutrition Program is licensed under a Creative Commons Attribution-NonCommercial-ShareAlike 4.0 International License, except where otherwise noted.